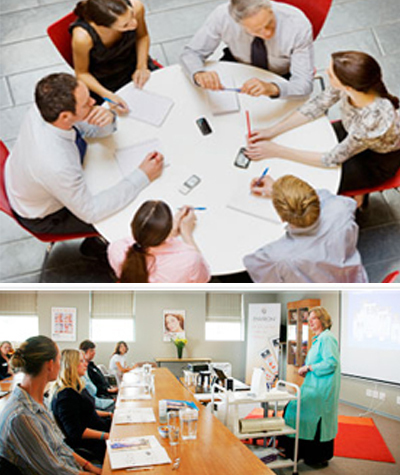 The Skin Care Source, Inc. provides education and technical support for all levels of staff. Our representatives are not only trained in the area of clinical skin care, but also in marketing and sales. They have first-hand knowledge of the private label marketplace, as well as an understanding of consumer behavior. In addition to product knowledge and use, our education includes branding strategies that will help your staff learn about the value added, and pass along advertising advantages of private label skin care products. Furthermore, our training will also help your staff learn how clients/patients think, how to handle challenging service situations and how to recommend products without pressuring your clients/patients. We can also develop a Training Manual specifically for your use.